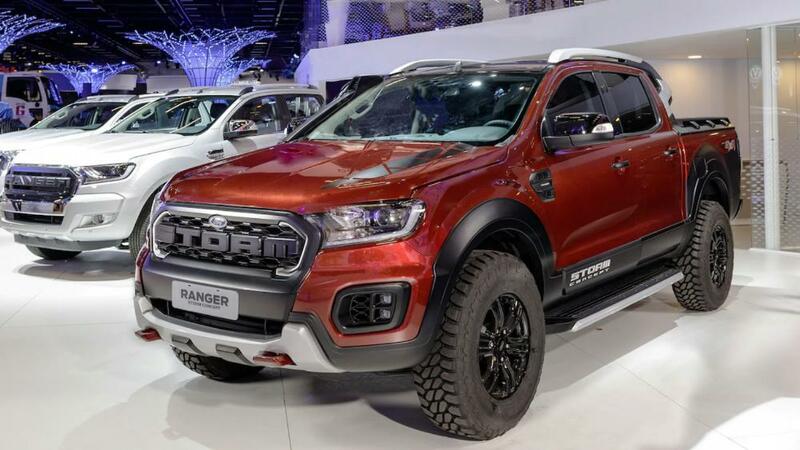 If it wasn’t bad enough that Ford told us we weren’t going to get the Ford Ranger Raptor here in the United States, Ford has released a new Ford Ranger concept to add to that frustration. 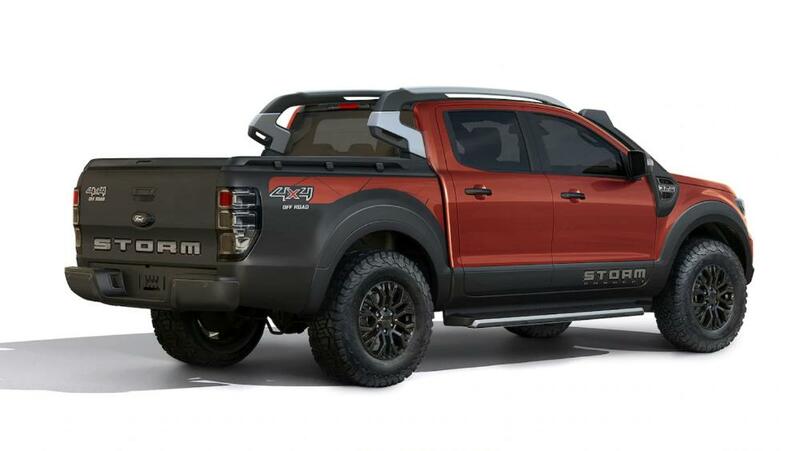 Introduced at the Sao Paulo International Motor Show this week, the Ford Ranger Storm is an off-road pickup concept that looks ready to go on sale tomorrow. Unfortunately for us, if the Storm does go to production, it will probably only be sold in Brazil. To create the Storm concept, Ford gave the Ranger an integrated snorkel, a roof rack, more protective body cladding, 17-inch alloy wheels wrapped in BFGoodrich all-terrain tires, off-road bumpers, running boards, and what appears to be a small lift. It also gets a “STORM” grille and tailgate, as well as an orange and black graphics package. Under the hood, the Ranger Storm has a 3.2-liter diesel engine that makes 200 hp, with shifting handled by a six-speed automatic transmission. 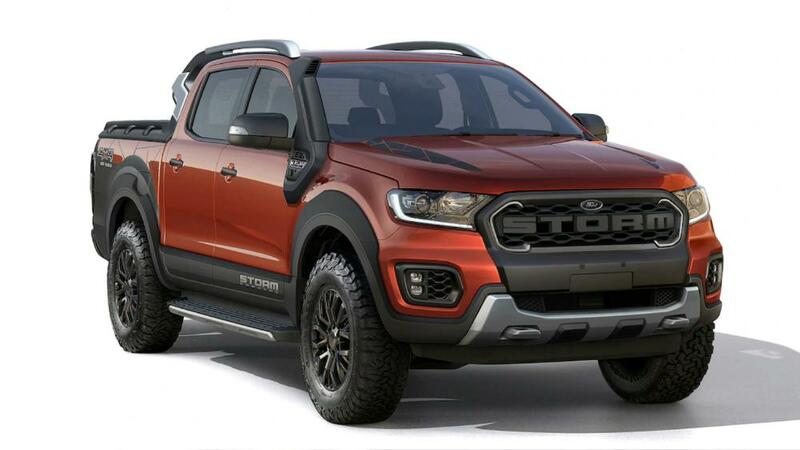 Very little information is known about this vehicle, but I think Ford needs to give us something like this on the North American platform , since they’re not letting us have the Ford Ranger Raptor. As long as this isn't like a "Sharknado". Graphics need help but it is a nice looking truck. Wish Ford could come out with wheels that don't look like they belong in a mid 00's 500/Taurus. Kinda hope they bring the Raptor here but with a different name. Ranger Raptor sounds weird. FX4 Level II? In some pics, on the Fender vent, it says 3.2 diesel, what do the OTHER ones say? I wish ford would stop struggling to catch up, and start leading. Sad when I want Ford to follow this Chevy example for inspiration. There is a Gen2 running around near me that looks like an old man went to town on it with a JC Whitney catalog. The kid who drives it is just as bad. First pic, White Ranger behind the " STORM ", I like the how bumper part looks like it is tucked into the fender, but the Ranger Grill looks a little cheezy. Any idea or info on that one??? The bumper is like the ROW truck, that is just a plastic bumper cover like what a newer Explorer and most cars/SUVs have. NA Ranger has a steel bumper. 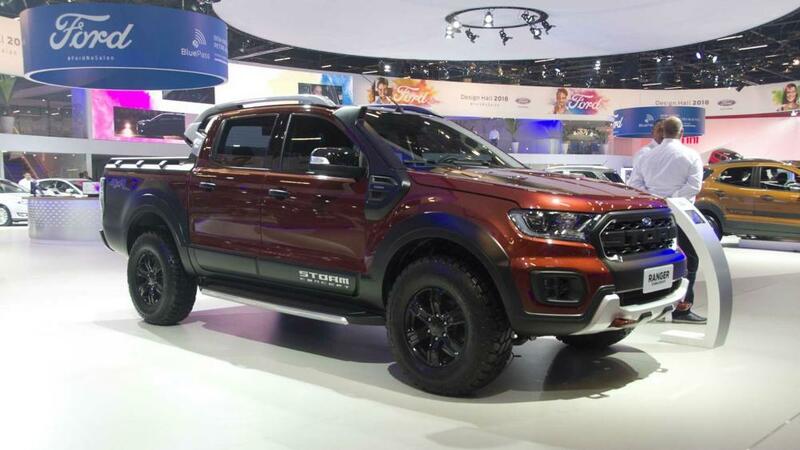 At least the Ranger Storm is sort of the correct direction for the 4wd crew, the black edition at the San Paulo auto show does nothing for me. Part of that is I've never understood bull bar on urban vehicle...just pay attention and use the brakes. The monochrome black is OK, but its begging to be lowered 3/5". I'm not in the market for a new vehicle so I haven't really looked. But can you buy a Colorado optioned out like that from your local Chevy dealer? 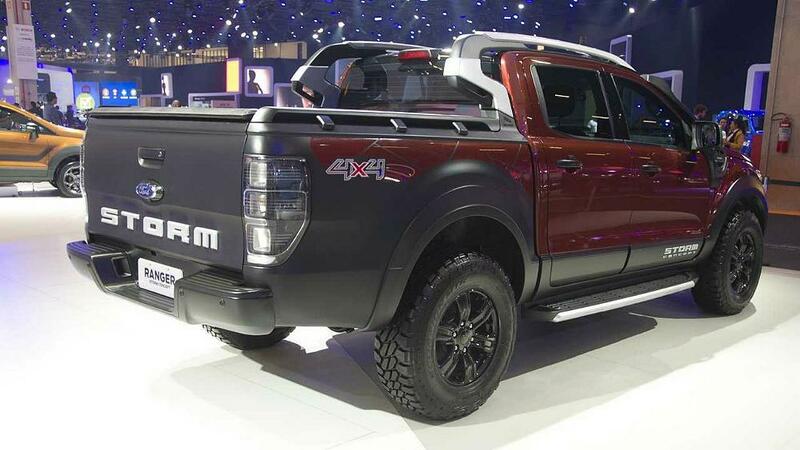 If so... and Ford doesn't put something to match or better it in the new Ranger here in North America... Big Mistake! Raptor would compete nicely with the Colorado ZR2 and Tacoma TRD Pro.